Most of us are fruit lovers, and if you are reading this you are probably one of them. The one who loves to cook, finds every tasty thing to be a gift of God and wants to use it in making the most delicious of dishes if not for themselves, then surely for their loved ones. As the summer season is fast approaching, the cherries are blooming somewhere in the green gardens and just the thought of it makes a mind feel that one of a kind taste which is so unique and refreshing. 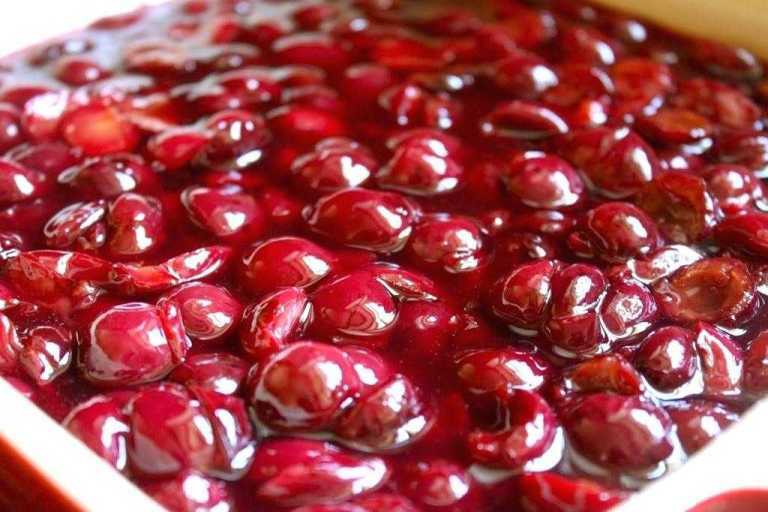 The Cherry Pie filling recipe is a simple way to make delightful cherry sauce at home easily through some simple ingredients mixed together in a proper way and right proportions to give the best possible taste of a cherry sauce that can make your taste buds go mad with flavor. 4 cups cherries pitted- You can easily get this thing done with the help of a cherry pitter. 1 tbsp lemon juice (1 tbsp = juice from 1/2 lemon)-While you are up with your Cherry filling recipe, you will have to take care of the amount of lemon juice you are using. 1/4 cup sugar- In case you are combining the sauce with something less sweet, you can use 1 cup per 4 cups of cherries. 5 tbsp corn starch-Well here is another magical ingredient that plays a great role in many of your favorite recipes. 3/4 cups water-Now, here you can see how water is a life saving natural resource, without it you can’t change this recipe into a dish. 2 tbsp rum or brandy-This ingredient is optional, you can use it to add some spike to the sauce. Add the pitted Cherries to a medium size sauce pot. Cook for about 3 minutes. You can cook it up to 10 minutes if you want cherries to be very soft. Stir the remaining water with the cornstarch. Now, pour this cornstarch slurry into the cherries while quickly stirring. Let it cook for another several minutes until the sauce is thickened and the flavor of the cornstarch disappears. Add rum or brandy with vanilla extract and stir again. Store it in a closed container in the fridge to be used even afterwards. Do not cook the sauce with the cornstarch slurry for too long otherwise the sauce will thin back down. 2-Add sugar depending upon the sweetness of the cherries and the dish you will eat the sauce with. Cherry season is not so far and the cherry lovers are surely waiting for it desperately. The cherry sauce recipe is a boon for the cherry lovers, depending upon your need; you can prepare it even for a whole week and store it in the fridge so that you will be able to eat it anytime you want without going on with the whole process of making it all over again for a single use. In the cherry Pie filling recipe, read know how carefully and then bring your cooking skills in, to excel the flavor of the dish. Starting from the very beginning, don’t forget to wash the cherries. 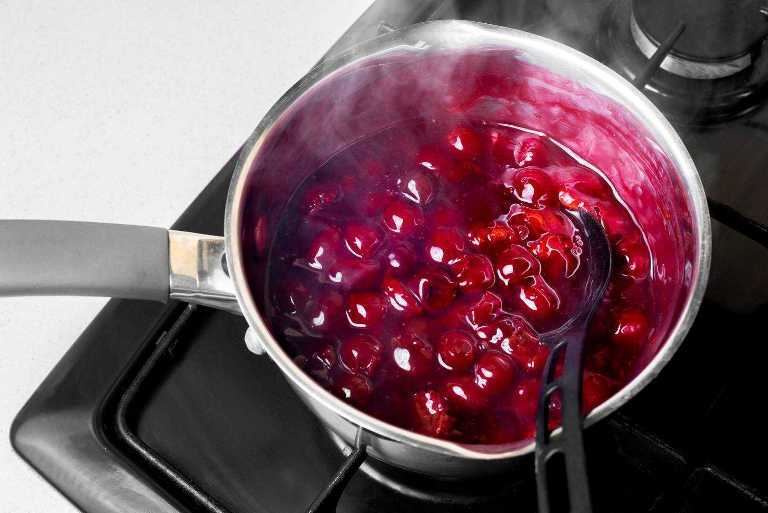 Another important thing while preparing this cherry sauce is that you must taste the cherries before adding the sugar. The reason behind this is that by tasting the cherries you will get to know the exact sweetness of the cherries which will help you to decide the amount of sugar you are going to use according to your desire. The one thing that matters the most while you are cooking something is your enthusiasm about that recipe. If you are cooking anything wholeheartedly, most of the times the dish tastes good even if you miss some minor things, so go on and enjoy the summer time with finger licking cherry sauce.